Do you want to know what you can expect in your training at Tiger Muay Thai and MMA training camp, Phuket, Thailand? 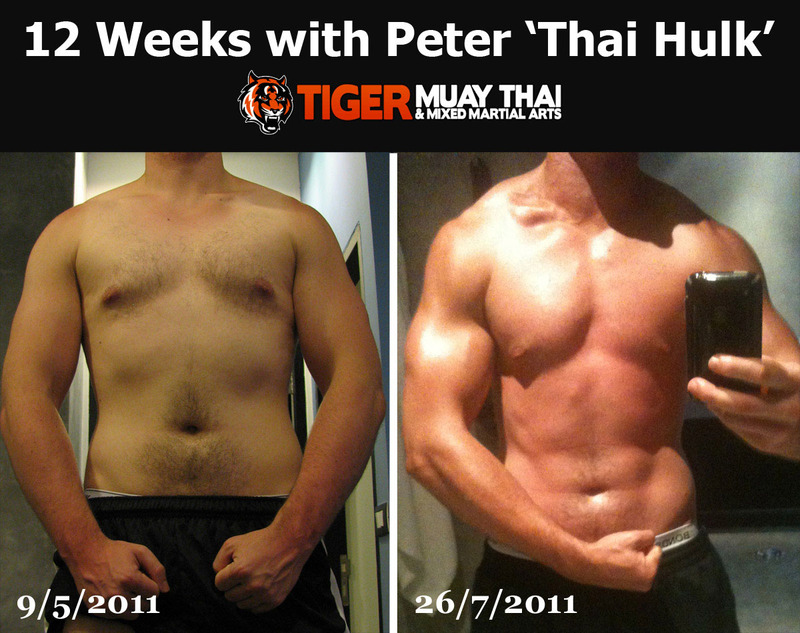 People are surprised that Tiger Muay Thai and MMA offers more than just Muay Thai and MMA training. Many of our guests come to TMT to train in Bodyfit / Bootcamp for weight-loss, Yoga, Western Boxing, BJJ, Krabi Krabong, Muay Boran, and of course, strength and conditioning. Check out the before and after photos of Matt. Six-pack anyone? Working with Peter, a multi-time Mr. Thailand and ASIA body building contestant, he will push you to achieve your goals and “look” you want from your training.